Home Features BombPoll BombPoll #2: Are You Tired Of Fantasy? 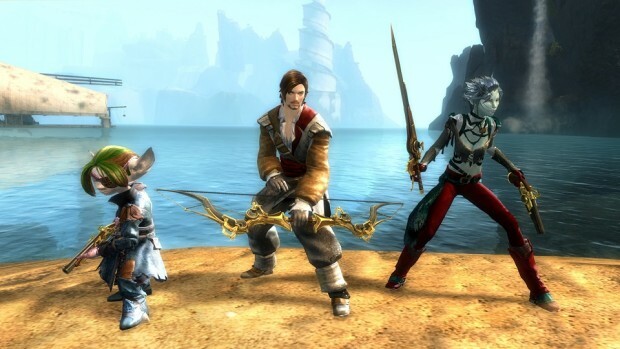 Five years ago, when I was trying to get a friend to try Guild Wars 2, he commented that it looked OK, but he was “tired of fantasy MMOs.” It’s an understandable concern. There are a lot of them, with more coming out all the time. Fantasy is how RPGs — not MMORPGs or even video game RPGs — basically got their start, and it’s been the most common setting for such games ever since. Still, is that enough of a reason to discount a game entirely? I didn’t think so then, and I don’t think so now. Sure, I wouldn’t mind if there were more MMOs out there with a non-fantasy feel, like Secret World Legends or Eve Online. But I won’t choose not to play something just because it’s fantasy. I’m still OK with swords and dragons just as much as I am with lightsabers and starships. That’s today’s BombPoll question: Are you sick of fantasy? Are you like my friend and won’t even touch a game these days if it has wizards and witches (or Witchers) in it? Or are you still OK with swords and sorcery as long as there’s a good game to be had? Let us know in the poll and in the comments! Are you tired of fantasy MMOs? That’s what I’m waiting on, too. Heck, just let me change my soldier and track my stats and I’ll be all over it. Sure, I like fantasy but as others have said, it can become a little stale and boring at times. Especially when some are blatant clones of other games. I find that those Eastern “fantasy” games to be the worst of them all. Aside from pretty graphics, they’re all the same snooze-fests. Lately, I often feel the urge for a good Sci-Fi MMORPG, most of which are either outdated, not quite authentic enough or just not very good in the first place. Free ones are quite awful and there is lacking the pure open-world and/or sandbox experience in nearly all of them. The MMO Games has become a ghost town nowadays. I try all game types but after many yaers im still play fantasy MMORPG! Fantasy games have beautifully designed worlds that take you across different biomes and areas. Most games try to make them as real as possible, so we can all appreciate the beauty easily. On the other hand, sci-fi games’ worlds are harder to impress with. All you see is metal everywhere. “But there are planets with beautiful landscapes!”, you say. Well? Isn’t that a fantasy world right there? Fantasy games emulate items and equipment of the past. Swords and maces are melee. A shield blocks attacks. A bow is a ranged weapon. Sci-fi? Pistol. Rocket launcher. Laser gun. Lightning gun. Flamethrower. It’s like all fantasy spells are just copied and thrown into a gun. There’s no variation in “cast times”, or fancy “animations”. Just shoot everything. You’re basically brushing off everything that doesn’t fit into your “I hate Sci-Fi” approach as “not Sci-Fi”. There can be swords and magic in sci-fi just as there can be guns and spaceships in fantasy. It’s not about depicted objects, it’s about reasons why thigs are the way they are. As weird as it may sound, I have trouble understanding the mechanics in Sci-Fi games, even if the concept is the same as Fantasy. They have all those weird gadgets with funny scientific names like “Complematic Defraginator” that make no sense and you have to waste time reading on what exactly are they used for and 5 minutes later you forget the name. In a Fantasy game you see a “Grinding Stone” and you know it’s most likely used in a profession like Blacksmithing or something that has to do with “sharpening” your weapon and basically boosting its stats. I’m yet to play a good Sci-Fi game aside from Mass Effect 1-3 and Star Wars KOTOR 1 and 2. For me a Sci-Fi game is about an open world space where you can freely travel between planets and do whatever you want, but such game is technologically impossible at this time. No Man’s Sky boasted it can provide hours of fun, except it was a pathetic failed attempt. In a Fantasy game the world doesn’t need to be that huge, because there can be multiple explanations why it is not. Like got destroyed, or there is a magical barrier, and simply the story can revolve only a small portion of the world and in the end players will be satisfied with what they had. Star Trek Online is probably the best traditional Sci-Fi MMORPG right now. You do travel the galaxy there and explore the planets (it’s not seamless though), and pretty much everything in game makes perfect sense (but only if you’re into Star Trek). If you aren’t a trekkie you might be some 30 years behind in terms of lore, but I’d still recommend it. P.S. I wish there were more games like that. I don’t have anything against fantasy, but I do appreciate the variety which is currently nonexistent in MMORPG genre. “Fantasy” is too broad a term to discuss so specifically I think. If we’re talking “swords and magic” then indeed it does get a bit old after a while. But even within that narrow subgenre there can be so much variation even without taking gameplay into account. Either way for me personally setting was never a deciding factor when picking games to play. If gameplay is solid, style / athmosphere consistent, and story interesting (if applicable) throughout the game then I’ll play it regardless of its setting. Something tells me that for most people behind “I don’t want to play fantasy MMORPGs” lies something else entirely, something closer to “I’ve had enough cheap WoW copies”. After all, average gamers are notorious for never knowing why they like/ dislike certain games (especially when they are sure they’ve found the reason). I think when games set off with a all & everything goes, it makes games not of any genre or theme. They lose there touch, as it causes disappointment in the gamealong with bewilderment, confusion & further disappointment in game play. It retracts and does not attract. it may entice players for that brief moment but in the end it completely ruins the idea behind gaming, & that is to take part in a theme or fantasy of something, not being side tracked by following the Jones’zzz’s in game development & attempt to show a copied hand of it. This only mess’s up to what the point the game is. Therefore the game dies, flops or is wilted, the player becomes BORED with the over stupididizeble concepts of what it isn’t, and now what it is…….A complete mess of every kind thing you can think of. Mass of everything is nothing as it attracts from the one thing, the theme. No. If anything, I’m sick of games trying to shoehorn sci-fi/horror/etc into fantasy games. It’s actually the only type of MMORPG i’ll play. I can’t get into anything that’s not fantasy.